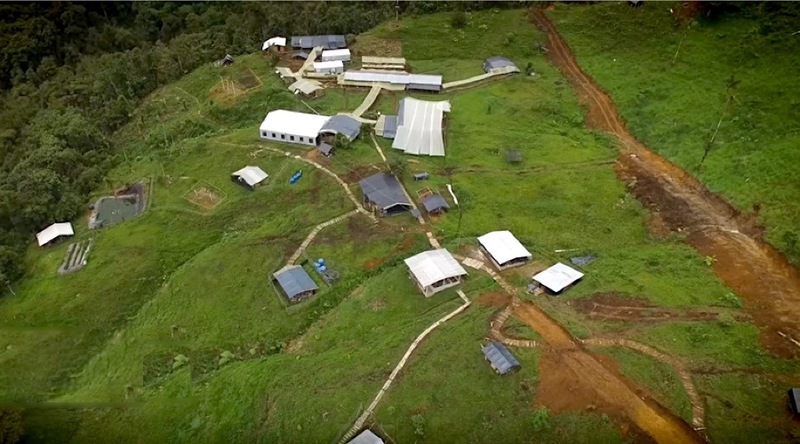 Ecuador-focused miner SolGold (LON:SOLG) (TSX:SOLG) said Friday it had intersected copper and gold deposits while drilling at Alpala and Aguinaga prospects its 85%-owned Cascabel copper-gold project, in northern Ecuador. Extension drilling at Alpala Central was expected to extend the high-grade mineralization along the lower and northeast margins of the deposit, located about 180 km north of the country’s capital Quito. The Cascabel project is located in the northern portion of the Andean copper belt in Ecuador, renowned for hosting almost half the world’s copper known reserves. The company, which began trading in the Toronto Stock Exchange last year, said that infill drilling, meanwhile, was expected to contribute to an upgrade of the resource, where early-stage copper- and gold-rich intrusions appeared on drill evidence to be more continuous than previously modelled. One hole in particular returned 458m at 0.71% copper equivalent, SolGold said. SolGold’s Cascabel has been compared to Rio Tinto’s world class Oyu Tolgoi copper mine in Mongolia and the results from hole 26 seem to indicate there is much more intense mineralization in the property than evident in previous drilling results. It’s located in the northern portion of the Andean copper belt in Ecuador, renowned for hosting almost half the world’s copper known reserves. In March, in fact, Anglo American (LON:AAL) became the latest big miner to land in the South American country. Through a deal with Luminex Resources, a Vancouver- based explorer, the company plans to develop two copper and gold concessions there.